A fully assembled pressure set that simplifies the installation of water pressure systems for both the professional and amateur installer. 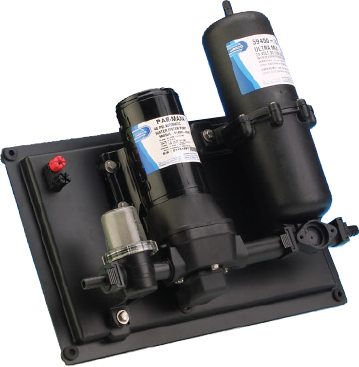 The set consists of a PAR-Max 3.5 Pump, strainer and pre-pressurized accumulator tank with quick-connect electrical connections on a rubber mounted board. Serves three or more 1/2″ (13mm) outlets.